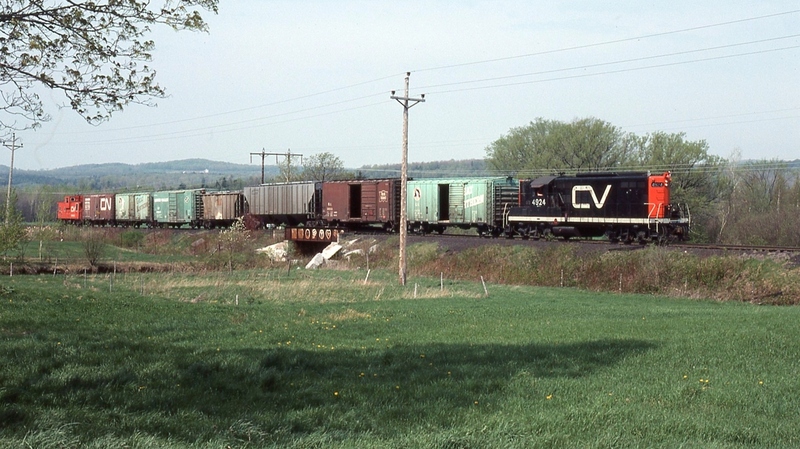 The Richford turn, out of St. Albans, is in Richford, VT, with a ways to go to reach the CP interchange. Photographed by Ken Patton, May, 1976. Added to the photo archive by Ken Patton, November 7, 2018.